Silly Sally has her own YouTube channel with lots of FREE videos for you to enjoy. Visit her YouTube channel by clicking here. "Fun With Silly Sally" is an award winning 30-minute kids' video that will get children up and moving and participating as they sing along. This children's video is guaranteed to be a hit with your kids. Silly Sally is a certified Iowa teacher and kids musician with a master's degree in education.. She understands kids and is committed to helping them learn about using good character and staying physically active while they are entertained! 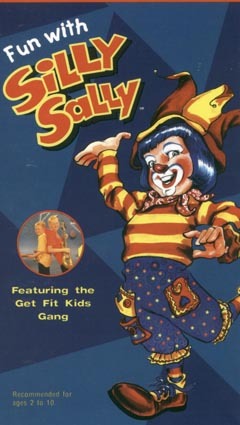 Kids will love watching "Fun With Silly Sally" over and over along with her puppet and clown friends. Silly Sally and The Get Fit Kids Gang also help viewers learn about their hearts and how to be kids with good character.